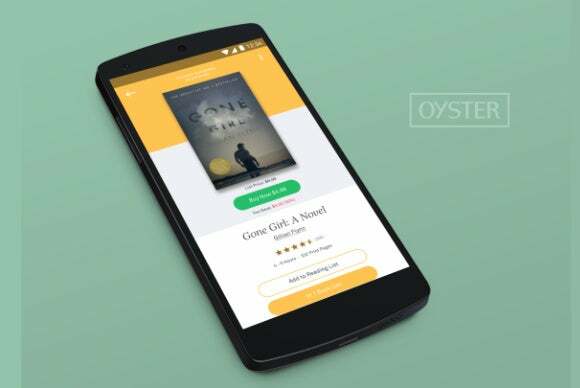 E-book subscription service Oyster has opened an online book store, a move that pits the young company against heavyweight Amazon. Oyster’s ebook store has the support of the top five publishers in the U.S. While Amazon also offers books from these publishers—Hachette, HarperCollins, Macmillan, Penguin Random House and Simon & Schuster—it got into a nasty battle with them over pricing. Amazon wanted to offer their books at steep discounts, ignoring the publishers’ suggested prices. The fight between Amazon and Hachette was especially toxic, with Amazon preventing customers from pre-ordering upcoming books from the publisher and threatening to stop stocking its titles. The two parties resolved their dispute last November, but didn’t disclose the deal’s terms. None of the publishers immediately replied to questions regarding their negotiations and pricing arrangements with Oyster. Before opening the ebook store, Oyster only offered a subscription service that gives people access to more than 1 million titles for $9.95 a month. Individual books will cost between $9.99 and $14.99, with a few titles selling for slightly more, according to the store’s listings. Apple, which sells ebooks in its App Store, and Amazon offer titles at similar prices. Oyster’s store will offer new releases and allow people to pre-order books. Oyster, which launched in September 2013, faces a formidable competitor in Amazon. The online retailer is the world’s largest bookseller and estimated to control half of physical and ebook sales in the U.S. In addition to selling Kindle e-readers, Amazon also offers a Kindle app that runs on mobile devices from competitors like Apple and Samsung. To use Oyster, people download an app for mobile devices that run either iOS or Android.